She is the most merciless of his lieutenants, with style and skills that even the hardest hustlers fear . . . and none survive. And with Dutch gone, Angel is fueled by a shattering vendetta and methodically eliminating every successor, wannabe, and mobster trying to lead Dutch’s madly profitable organization. The only person between her and ultimate control: One-eyed Roc-aka Rahman-Dutch’s other trusted lieutenant and a man with his own zealous master plan. He and his crew are cleaning up the streets and righting his wrongs by any means necessary. And he’s checkmating Angel’s strengths and playing her every weakness. Neither can stop. Neither will give in. 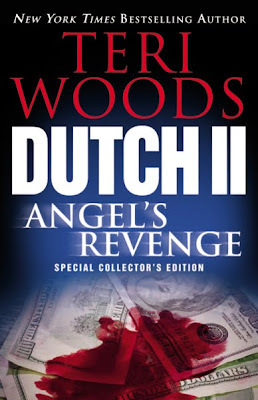 And they will never surrender Dutch’s lethal legacy, even though their last devastating power play could destroy it all . . .